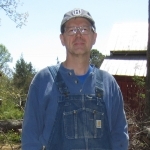 This issue's preview is provided by Ralph Culver, Foresight's manuscript editor. The Winter 2019 issue of Foresight—number 52—kicks off with Simon Clarke’s enthusiastic review of The Little Illustrated) Book of Operational Forecasting by Dr. Steve Morlidge. Every year brings us new, inexperienced business-operations forecast­ers seeking solid practical advice to help ground them and set them off on a productive career path. As far as Simon is concerned, this book fits the bill in almost every respect. Morlidge’s objective, Simon notes, is a simple one: “help practitioners stop doing dumb stuff”—and the book pulls this off with a fine balancing act of not oversimplifying fore­casting solutions or getting stuck in super-complex and challenging concepts. Paul Goodwin, Foresight’s always entertaining Hot New Research Editor, keeps the issue rolling with his latest piece, this one on Scenarios and Forecasts and how they might complement and even support each other, with an eye toward whether scenarios can ultimately improve forecasts. In scenario planning, Paul writes, “Factors we think will have the biggest impact on the future are identified, including those that have the greatest amount of uncertainty associated with them. Stories are then written describ­ing how the future would look if these factors turn out to be extremely good or bad.” The whole process is a means of extrapolating from current data and trends what are likely or possible futures, giving us insight and the potential for increased preparedness for multiple outcomes. Paul gives a concrete example of this in Shell Oil’s use of scenario planning to come out on top of the OPEC price wars of the early 1970s, moving from one of the least-profitable oil companies to the most profitable. Complexities abound, though, as Paul notes that the research indicates this methodology can get messy and even become compromised, and the evidence of success is mixed. 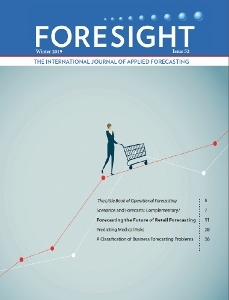 That brings us to our feature section for this issue: Forecasting the Future of Retail Forecasting by Foresight Associate Editor Stephan Kolassa. Retail worldwide is changing with breathtaking speed, and this titanic upheaval means that retail forecast­ing is facing huge challenges to adapt and keep up—and, as always, huge challenges present terrific opportunities as well. “New digital technologies,” Stephan says, “are dis­rupting business models”—mobile solutions, the Internet of Things, hyperconnectivity, big data, artificial intelligence and machine learning, to name only a few—the upshot of which is that retail consumers’ expectations are changing accordingly. This is already having a wide-ranging effect on how retail forecasting is done, as well as the forecast­ers and organizations involved. “Big players like Amazon or Walmart,” Stephan writes, “show up in force at the annual International Symposium on Forecasting, recruit new data scientists there, give talks—including keynotes and featured talks—and write academic papers. Other retailers recruit data scientists and experiment with Bayesian neural networks, Poisson regression and regression trees, and are capable of discuss­ing predictive densities—all unheard of a decade ago.” His article provides an excellent accounting not only of the trends and directions of retail forecasting but of what the forecasting profession will need to do to stay current and avoid missteps. Additionally, Brian Seaman, Senior Director of Data Science at Walmart Labs, supplies an insightful and pointed Commentary on Stephan’s feature piece, while Stephan himself takes the spotlight in our Forecaster in the Field interview this issue. If you’re one of those kinds of folks who never feels entirely comfortable sitting in a medical doctor’s examination room, it turns out you have plenty of reasons to feel squea­mish. In our World of Forecasting section, Spyros Makridakis, Ann Wakefield, and Richard Kirkham are the coauthors of Predicting Medical Risks and Appreciating Uncertainty, and what their article brings to light is more than a little disturbing. At theoutset, the authors assert that “there is work still to be done in encouraging clinicians to communicate risk in a way that enables patients to contribute effectively to their own treatment decisions”—and this only scratches the surface of a range of issues that pro­foundly and systemically affect the medical profession as a whole. For one, health-care providers are “just as susceptible to ‘silo’ thinking as any other area of consumer-goods marketing,” are often mistaken in their diagnoses, and—even worse—are reluctant to admit to a misdiagnosis or to alter treatment regimens that have proven to be ineffec­tive. And where does all this leave the patient? The authors, while admitting that things are looking up in some respects, come to sobering conclusions about the general state of medical research and practice, which makes for a dangerously high degree of difficulty predicting risks and uncertainty for health-care consumers. This issue’s offering on Forecasting Practice is A Classification of Business Forecasting Problems by the aforementioned Stephan Kolassa and coauthor Tim Januschowski. Stephan and Tim note in their article that business forecasting covers the full spec­trum of applications, and with that in mind they set forth a classification of forecasting problems. “We propose,” the authors write, “to classify forecasting problems into three categories: operational, tactical, and strategic. The difference between operational and strategic will be immediately clear, and we use the tactical category to cover the area in between these two. Our taxonomy aligns with the typical spectrum of corporate activi­ties, where the strategic level is concerned with long-lasting effects, tactical decisions are roughly quarterly to once per year, and the operational level refers to day-to-day decisions.” Their hope is that this taxonomy can be useful to forecasters in assessing their own skill sets as well as in choosing the methods and software needed to address particular forecasting problems. Our Winter 2019 issue wraps up with a Commentary by Owen Davies, Executive Editor of TechCast Global, on Spyros Makridakis’s “Forecasting the Impact of Artificial Intelligence,” which appeared in Foresight in five consecutive installments from Fall 2017 through Fall 2018. Owen wrote the introduction to the first section in that Fall 2017 issue and here provides a coda to the entire series, relying on insights gleaned from TechCast’s Delphi forecasts to comment specifically on a number of points made in Spyros’s article, including AI’s potential impact on employment, the development of blockchain technologies, and intelligence augmentation. We also want to alert our readers that the complete “Forecasting the Impact of Artificial Intelligence” has been compiled as a Special Feature and is available in the Foresight Document Store as of the Fall 2018 listing.